An Ex-google employee who has spent more than 15 years working with some of leading Multinationals companies, Ravi surely has an impeccable past. He has a knack for deciphering all the vital information from large stacks of data. This is why he is often touted as a person who will not rest until he finds optimal solution for the given problem. He is professional and straightforward in his interactions, which makes working with him a pleasure. After completing his CA in Accounting and finance, he went on to study indirect taxes and export promotion policies. This is where his lucrative career started to take shape. He understands the impact of the client internal situation on the targets and brings that intelligence to the team he is working for so the management can come up with the timely win-win strategy. 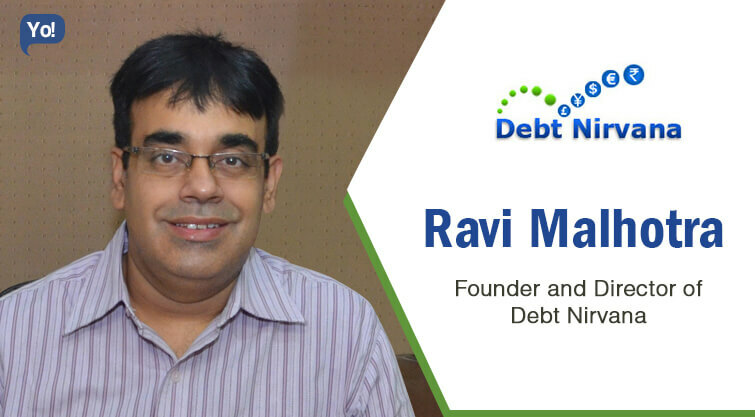 His latest venture Debt Nirvana is driven by the same strategy and focuses on generating wealth for its clients. Within a span of few years, it has created a niche for itself with clients including fortune 500 companies. Account Receivables Management and Financial Processes Outsourcing company run by Ex-Googlers. In this recessionary environment, companies are facing extremely tough situations where working capital is stuck in Account Receivables which they are not above to recover in reasonable time. This is forcing the business to expensive external funding which is putting more pressure on Financials of the company. With that in mind, we thought that by entering the Account Receivables management area, we can provide professional services with targeted outcome in terms of Collection Targets, Reduction of Days of Sales outstanding and timely working capital needs being met by internal funding rather than external funding. If you don’t build your dream, someone will hire you to help you build theirs. Most challenging part was to leave Google and take decision to start something on your own. This has been a continuous challenge for us. Building employee’s Friendly culture is key to it. We are not looking for investments till now as we think, by keeping the company internally financed, decision making and risk taking can be much quicker and is not dependent upon investors. One point which i would like to mention here is that without external fundings, we are currently managing AR portfolio of $400 Mn for Fortune 500 clients. As i mentioned previously, building employee culture is key to it. Once we provide an environment where employees can take their decisions and are accountable for the same. This provide a sense of ownership to employees. Attitude to me is the key to success. Skills are something which can be learn while in the job. Bring Punctual is one of the traits that can be differentiator between success and failure.